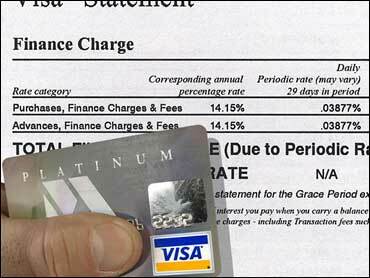 A majority of credit card holders aren't paying attention to potential changes to their accounts, a sign of poor financial literacy that could set them up for damaging situations, a new survey shows. More than 66 percent of the people who responded to a survey done for Credit.com said they did not know what, if any, changes their credit card companies made to their card accounts recently. The statistic points to the larger problem of a lack of awareness as to how credit works, said Adam Levin, chairman of Credit.com Inc.
"For years, it has not been the highest priority with institutions that their borrowers or consumers be financially literate," he said. "I think a great deal of the disaster that occurred with subprime mortgages and now with credit cards is that consumers didn't understand what they had agreed to," he added, noting that credit agreements are often written in highly technical, confusing language. Had more of the people surveyed checked their statements carefully, they might have found changes including higher interest rates, lower credit limits and increased minimum payments, the study showed. Higher interest rates were reported by 15 percent of the people who responded to the survey, while nearly 11 percent said their minimum payments were hiked and 8 percent said their credit limit was reduced. Other changes reported included payment due date shifts for 9.5 percent of the respondents, and reduced rewards programs from 8 percent. More than 7 percent said at least one of their accounts had been closed, according to the survey, which was done by GfK, and involved live telephone interviews with more than 1000 people nationwide. Each one of these actions can hurt consumers and actually worsen their credit problems, Levin said, particularly if the consumers aren't paying attention. For instance, reducing credit limits can change a borrower's debt-to-available credit ratio, which would likely reduce their credit score, even though the consumer did not run up their balance. "You could be a responsible person who is following a pattern and all of a sudden you're portrayed as a credit junkie," Levin said. Likewise, credit scores can also drop if accounts are closed. "There are institutions out there that are just shutting people down," Levin said. Increasing the minimum payment required may not be so problematic on the surface, he said, but when combined with a higher interest rate, that could send required payments beyond what cash-strapped consumers can handle in the current economy. And if any of these actions are taken at the same time, the combination could have a severe impact on someone's credit scores. "What's happening is patterns are being interrupted, and when patterns are interrupted, you're pushing consumers to the edge," Levin said. Consumers need to check their monthly statements - or even better, monitor their accounts online daily - to make sure their agreements haven't changed, and also to make sure there are no unauthorized transactions on their accounts that could hint at identity theft. "People need to be much more focused on these kinds of things, they're not just details," Levin said. It is also wise for consumers to periodically use all the credit cards they hold, because companies have been closing inactive accounts as one way to reduce their potential lending. Both to protect their credit score and to keep credit available in case of emergency, he advised occasional use to keep an account active. It is possible creditors are acting ahead of new federal regulations that take effect in 2010 that will make it harder to make changes to accounts, Levin said. But in the end, he suggested government regulations can only go so far toward helping consumers. "There is no one who has a stake in protecting the consumer that is greater than the consumer himself," he said. "I sincerely hope the drive for financial literacy will become top-of-mind, rather than somewhere down the street and under a bush."